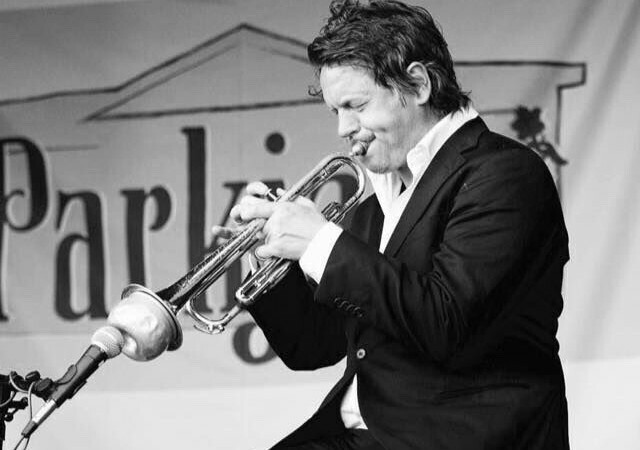 Trumpet is Per Willy Aaserud’s main instrument, and for more than 30 years he has been collaborating with Georg Buljo on a regular basis. They have played concerts, nationally and internationally, from club gigs to large festivals, and they have made numerous recordings and various projects, together, and in collaboration with other artists. Aaserud has worked as a performing artist on stage and in studios since 1991, mainly in genres like jazz, pop, rock, afrocuban music and various improvisation forms. In his collaborations with Georg Buljo, and other Sami artists like Mari Boine and Niko Valkeapää, he has contributed much to the development and modernization of Sami music over the past decades. Apart from Buljo and Valkeapää, Aaserud has also worked with Norwegian artists like Gisle Børge Styve Trio, Inger Marie Gundersen, D-Sound, Silje Nergaard and Jonas Fjeld, and international artists like Of Montreal and Naïssam Jalal. He has played in all continents on this planet.